Large range of standard sizes. 1.0mm & 2mm galvanised sheet-metal construction. Venturi water filter scrubber system. Patented design for filtration and clean spray painting. Applications include: Glue spray painting on production line. Applications include: Fibreglass packing and trimming booth. Applications include: Production line painting,automotive parts. Applications include: Production line Cabinets and kitchens. When a production environment is what you need to satisfy high volumes of paint and very high quality finishing requirements a water filter spraybooth from the TRUFLOW WWSB Series of spray booth is what you will need. Suitable for a wide variety of applications, they offer a bright, safe and clean environment for your finishing operations while being able to handle and filter high volumes of over spray. Capturing over spray is archived by the water scrubbing process, no filters are required as the water and louvres fitted provide 99% capture rates while minimizing odours as they are captured in the water tank. Water Filtration Systems are designed for high volume production facilities or particulates which are very fine. 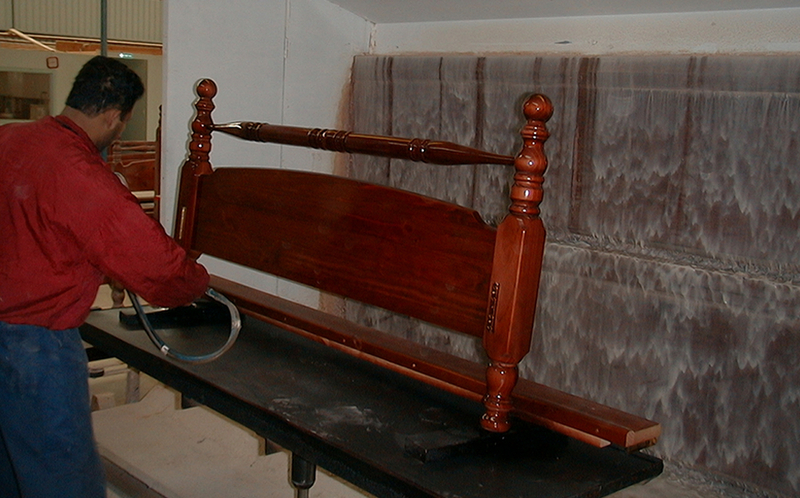 They can be used to provide a clean environment that can minimize dust and handle high volume of paint. Water walls have been used in production line facilities all over Australia including furniture and automotive applications for Toyota and plastics manufacturers. Used by manufacturers that need to deal with fibreglass packing / moulding and trimming. The water scrubber will capture dusts and fumes, minimizing odours produced by this process. Commonly used by clients that manufacture Spa’s, bathroom products including shower bases and fibreglass panels for cars and trucks. TRUFLOW’s range of WWSB booths are modular and packed ready to transport. The service is quick and reliable and we can transport Australia Wide and now also to Papua New Guinea, New Zealand, Singapore, and Indonesia. Ideal for furniture manufacturing production lines where the varnish / gloss or paint process is on-line. Capable of managing high volumes of over spray in excess of 4lts per hour this filtration system captures over spray and mitigates odours. Undercoating can be completed in Water walls and is especially suited when dealing with heavy solid paints where over spray particles would quickly clog a dry filter system. 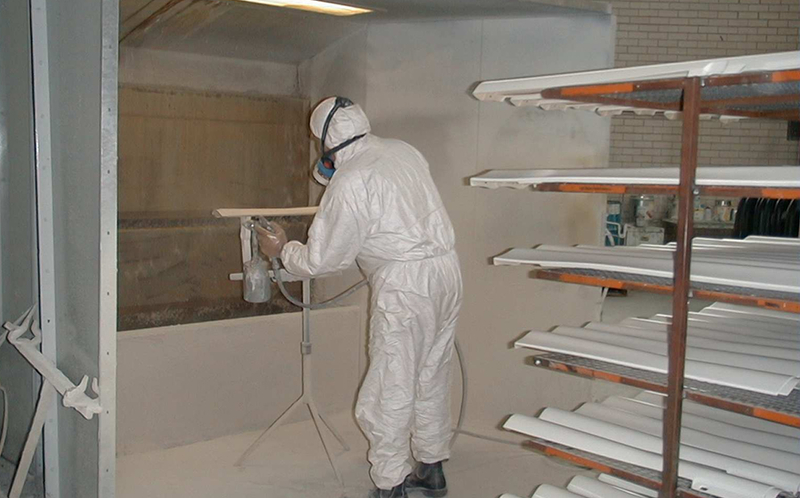 When applying fibreglass to moulds, or trimming or completing a cutting application where dust or fumes are generated a Water wall will significantly mitigate odours generated and capture large volumes of over spray / dust particles. On-line systems are designed for production level painting. 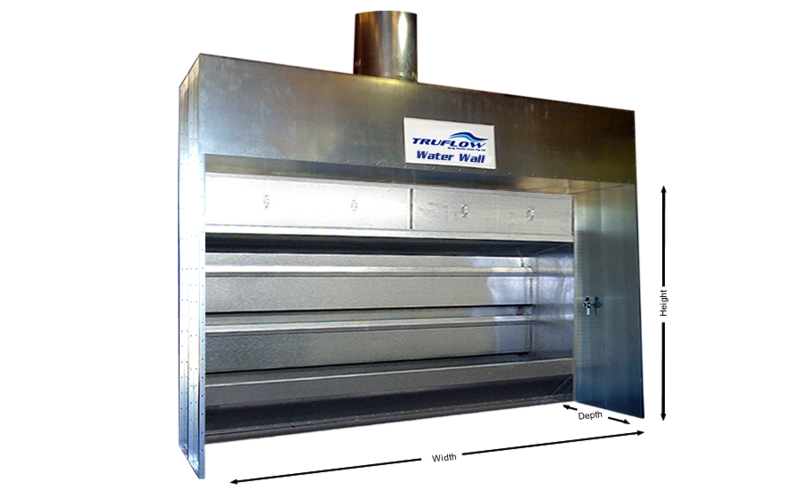 They may be combined with a drying room or oven and integrated with a conveyor system. 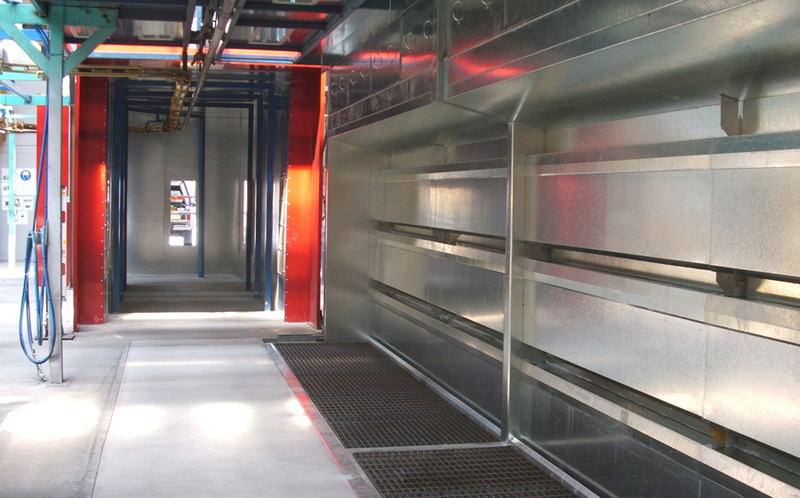 Find out more by looking at our production spraybooths page. 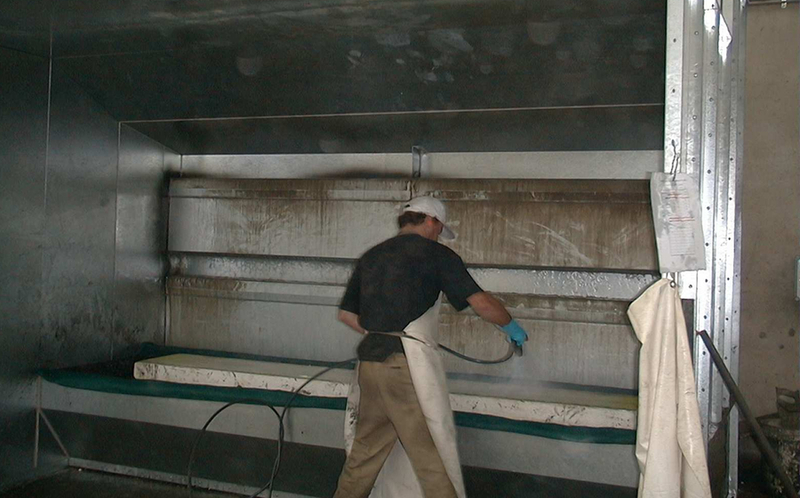 Your spraybooth can be professionally installed by the TRUFLOW team. 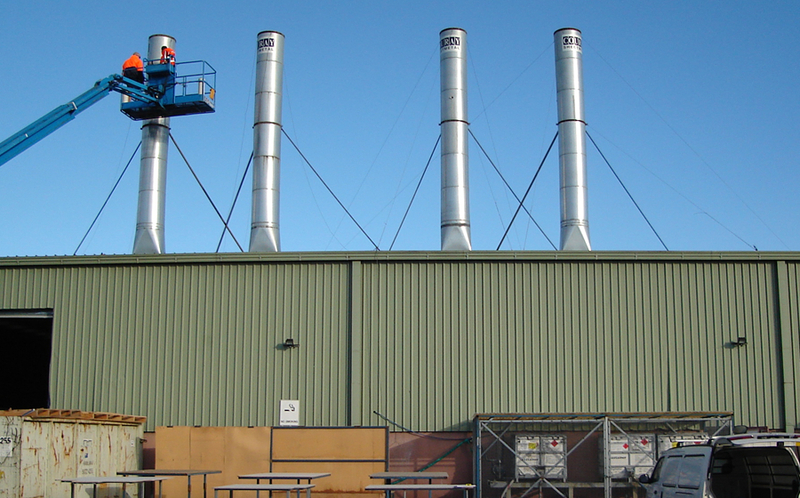 The ductwork height will be in compliance to AS/NZS 4114.1:2003 and can also be custom designed for specific area requirements which may need higher discharge points.